Location Guest house is located in South Ari Atoll in the island called Dhangethi. Which is in South Ari Atoll, in 90 kilometers away from international airport. In the island the guest house is situated in a beach front. The location of the island is close to the most best dive sites and snorkeling sites from Maldives (specially in South Ari Atoll). The area is also the most convenient place to access all year round whale shark and manta point. For diving there are over 30 dive site...Continue readings just an half hours reach from the island. The sites include world renowned dive sites. For snorkeling, coral gardens are on the house reef of the island and other snorkeling places are close by. Instructors & Dive masters There are one Instructor and Two Divemasters. Non-diving activities Apart from scuba diving and snorkeling the area is also very good for fishing especially sail fish, Merlin and reef fishing. - Brand New Dive Evolution Wetsuit with masks, fins, snorkel, dive baloon and weight belt. - 60 feets Dive dhoni with toilet, Sun Deck,Fresh Water and Towels. - Dhoni capacity Maximum 30 divers. Read before you go DAN insurance coverage will be inclusive upon request. All dive courses are usually for a minimum of two persons; however private lessons are available on request for an additional fee. All diving activities are subject to weather conditions and we reserve the right to suspend any given activity at any time. Lost or damaged equipment will be charged at replacement cost rates. 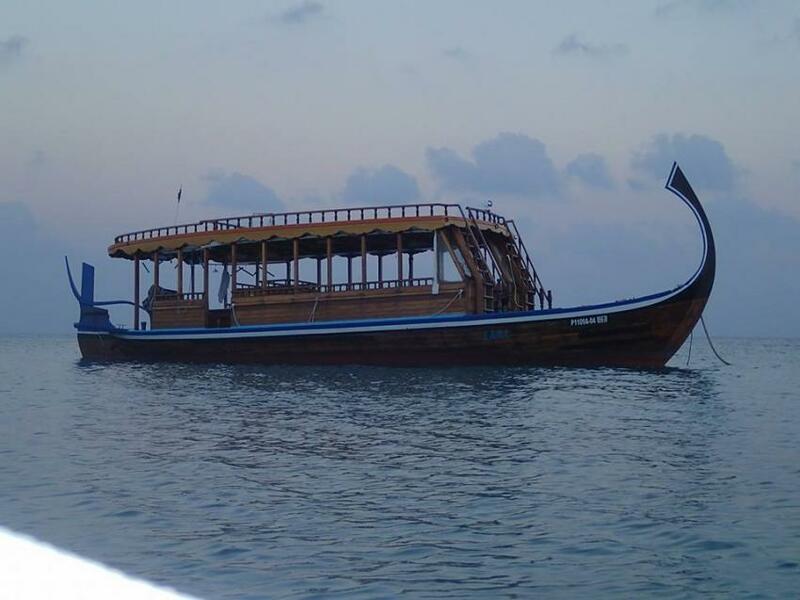 The Ferry boat takes 6 hours to reach Dhangethi Island and the transfer is com...Continue readingplimentary (for free). From Male' To Dhangethi Island. Advance notice of 03 days is required to book the ferry. The flight will go to a domestic airport called Mamigili airport in South Ari Atoll. It takes 20 minutes to reach from airport to Maamigili airport. 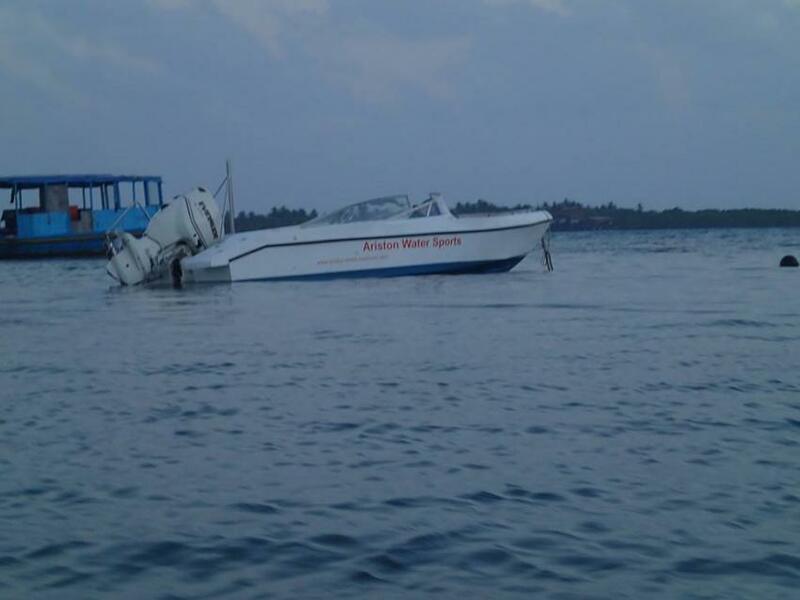 From Maamigili a speed boat will take the guests to Dhangethi. Location of Ariston Dhangethi INN. It takes a another 20 minutes by speed boat, this itself is tour as the speed boat goes inside atoll if lucky flying fish and dolphins are seen on the way. Speed Boats take about 2 Hours to reach Dhangethi Island and costs approximately USD 100 per person per way. (Minimum 10 pax required to arrange a speed boat). Should be booked in one week in advance. Scheduled days Monday, Tuesday, Thursday and Saturday. Transfer from the airport with a Surcharge. Transfer from recommended hotels to dive center - No charge. Free airport or from male’ Meeting (pick up service) is available for all clients of the hotel. This is assistance given up to their mode transfer.